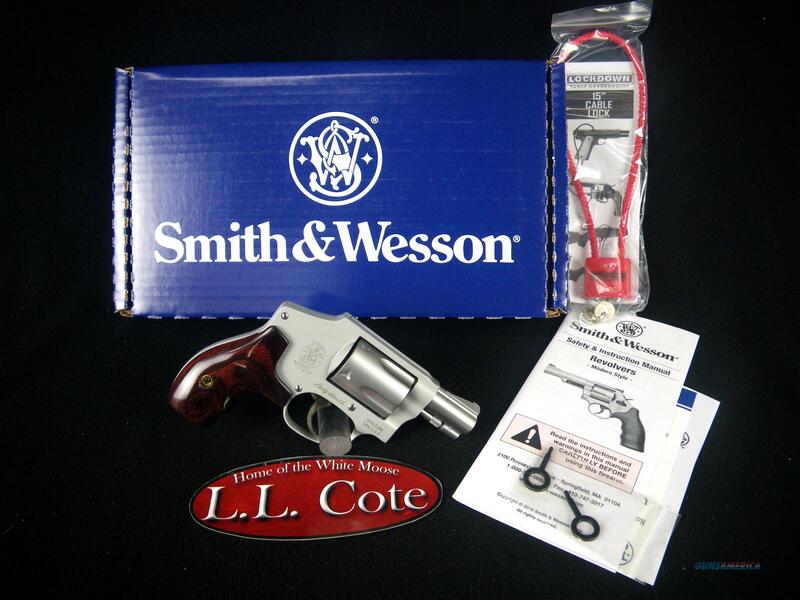 Description: You are bidding on a new Smith & Wesson Model 642 LS LadySmith in 38 Special+P with a 1.875" barrel. Smith & Wesson J-Frame revolvers have had your back since 1950. These small revolvers were designed to fire a full power round and are as simple and easy to use as they are reliable. Available in various calibers and with three diverse hammer designs, it is no surprise that the Smith & Wesson J-Frame has become the most popular, small-frame, defense revolver on the market. In 1952, Smith & Wesson debuted two J-frame Centennial® revolvers, the Model 40 and Model 42, named in honor of the company’s 100th year. The Model 42 Centennial Airweight® was designed as a lightweight aluminum alloy revolver with a fully concealed hammer. The Model 642LS is a variation on the Model 42 Centennial Airweight® that integrates the time-tested features of the original with modern advancements. Displayed images are stock photos. Any questions please feel free to ask (our phone number is in the additional information tab above).